The real estate market is thriving at the moment. Most agents will tell you that there has never been a more competitive time in real estate. With Atlanta booming, houses are in tremendous demand. Given that, very few properties stay on the market for very long before getting a handful of generous bids. However, the houses that do linger on the market have displeasing flaws – smoke damage being the most common and most appalling. Though your home may suffer from a persistent smell of smoke, smoke damage restoration is a worthwhile process that will remove such odors from your home. As a study sponsored by Pfizer Canada recently reported, homes that had traces of cigarette smoke decreased in value by as much as 30 percent. A $250,000 house decreased in value by 30 percent loses $75,000 of its worth. When you’re looking to sell your real estate, losing nearly $100,000 is an unfortunate deficit. That being said, let’s look beyond just residential real estate; smoking can affect the resell value of other large investments such as automobiles and commercial real estate. As mentioned earlier, smoke damage in a home significantly lowers its value on the market, even on the seller-friendly market of 2018. Before listing their property on the market, some sellers might take some steps to prepare their home to sell. In the case of a home that has smoke damage, the owners might try to put a fresh coat of paint on the walls and get the carpets shampooed, but that won’t remove the odor. A smoke damage restoration company will properly treat the home to extract the smell rather than attempt to mask it. Before investing too much time and money into your DIY efforts, consult with a restoration company. 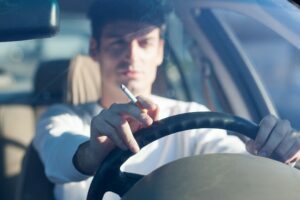 One of the more common places for smokers to partake is in their vehicles. To keep the smell of cigarettes out of the vehicle, owners will roll down the windows, hold the cigarette out of the window as it burns and try different air fresheners to mask the smell, but these attempts have been proven to not work. Despite efforts to keep a car’s interior odor-free, the smell almost seems permanent, and the signs that a car was previously owned by a smoker are obvious. With many of a car’s interior being cloth, the porous material absorbs and retains the smell easily, which means smoke damage has to be removed to be eliminated. Thankfully, the smell of cigarette smoke is not permanent; it can be removed by a professional smoke damage restoration company. 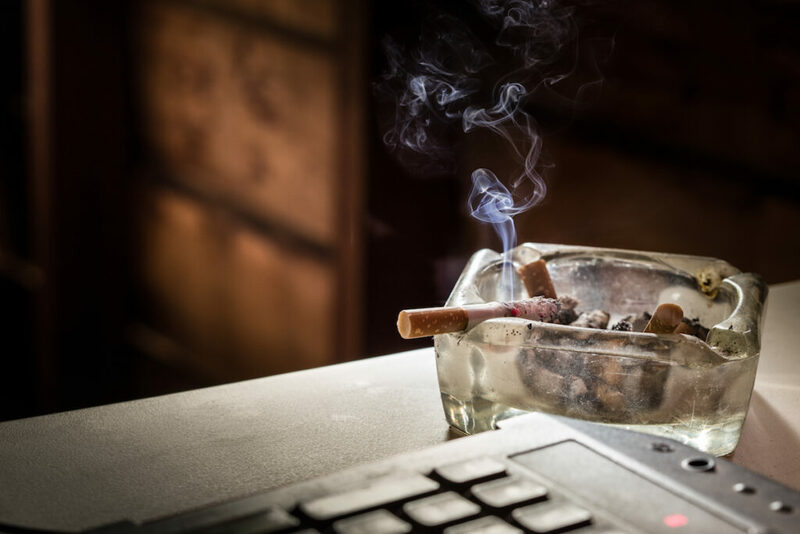 While not many businesses will experience cigarette-induced smoke damage, some commercial real estate properties might reap the negative side effects of smoke damage caused by fire. Though fire is a devastating force, its damages can oftentimes be remedied. However, if not treated fully, they can be harmful. Replacing a section of drywall and putting down new carpet won’t remove the harmful odors left behind by the fire. These odors could be unsafe and should be taken seriously. Trial-and-error fixes are not the best solution because the toxic odors of a fire must be removed as soon as possible. Consult with a professional restoration company to prevent an unhealthy work environment that will, as a result, not perform well on the real estate market. Though cigarette smoke is among the more common causes of smoke damage, it is not the sole source. Fires, obviously by nature, are very harmful to homes even after the damage has been done. 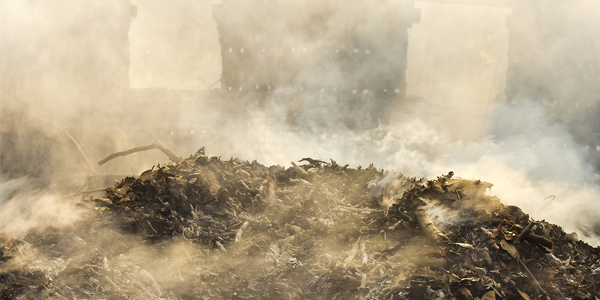 The obstinate odor of smoke can be removed only by a certified professional. 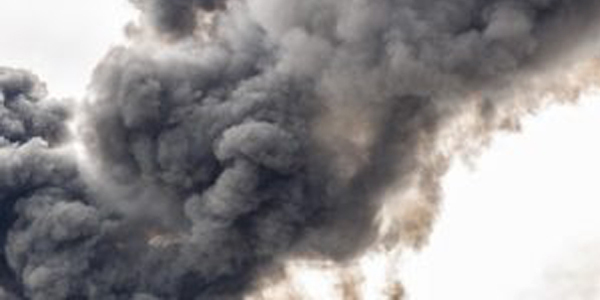 Not only is smoke damaging to the interior of a home, car or business, but it is also damaging to the tenants’ health. 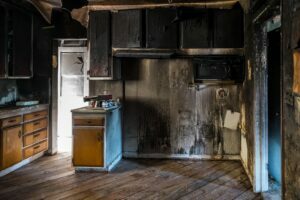 Smoke damage caused by fire when inhaled could cause one to develop sinus, lung and respiratory issues – not to mention the danger of people with pre-existing conditions inhaling these odors. Smoke damage could also cause severe skin dryness and eye infections. If you’re in need of expert smoke damage restoration services, then ONEighty Solutions is here for you. We specialize in restoring homes and assets back into sellable real estate that will attract top-dollar clients. Our Biosweep odor-removing technology is an innovative process that eliminates smells from residential and commercial properties. For a free evaluation, contact ONEighty Solutions at 678-780-4347 or info@oneightysolutions.com. For more on how ONEighty can help your situation, like us on Facebook and see what our customers have to say on Yelp.